Coming ready mixed and ready to use straight from the tub, SikaCeram® Fix & Grout is incredibly easy to apply with none of the mess associated with traditional powered products, and as it can be used as a grout as well as an adhesive, there is no need for two separate products saving valuable time and money. 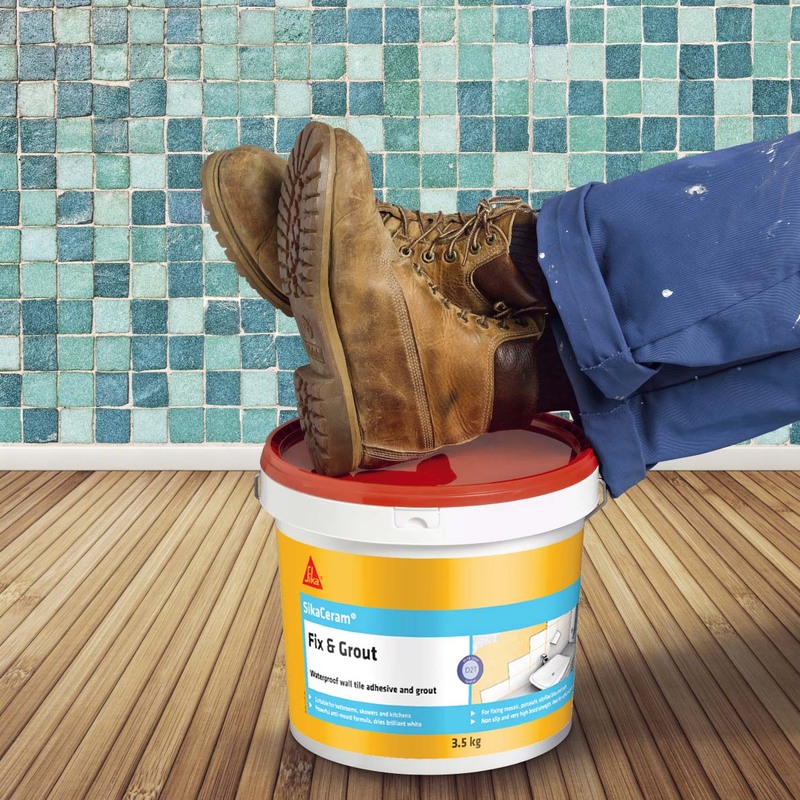 Non slip with very high bond strength, Sika Ceram Fix & Grout is ideal for use on vertical surfaces and can be used for all ceramic tiles including porcelain, vitrified tiles and mosaics. Available in three handy sizes; 750g, 1.5kg and 3.5kg, SikaCeram® Fix & Grout dries to a brilliant white finish with the high quality anti-mould formula ensuring that the product stays white for years to come.